Building a website on WordPress can be one of the most rewarding things you do for your online presence or small business. Because with this customizable open source platform, you can craft the exact site you want — from an attention-grabbing hero image on down to the perfect footer — thanks to WordPress themes. Themes are pre-designed web templates that modify the look and function of your website. Essentially, a WordPress theme consists of a number of template files that work in unison in order to produce a graphical interface with an underlying unifying design. They include customized template files like style sheets (CSS), image files, custom pages, and PHP code files necessary for functionality. A theme changes the way a website is displayed to the end user without changing the underlying WordPress software itself. Think of it as a highly functioning “skin” for your site. With WordPress powering more than 25 percent of ALL websites, there are thousands of themes to choose from. So where do you begin? In this article, we’ll break down how to choose the very best WordPress theme for your website. So you’ve just built a basic WordPress site and now you’re ready to choose a WordPress theme to make it look just so. Who is my intended audience? What features might they need? Thinking conceptually about your website’s objective is crucial to making sure you choose the right look, feel, and functionality for your visitors. WordPress has many themes that are specifically catered to each of the functions above (along with many others), so you want to make sure that you’re looking in the right area. 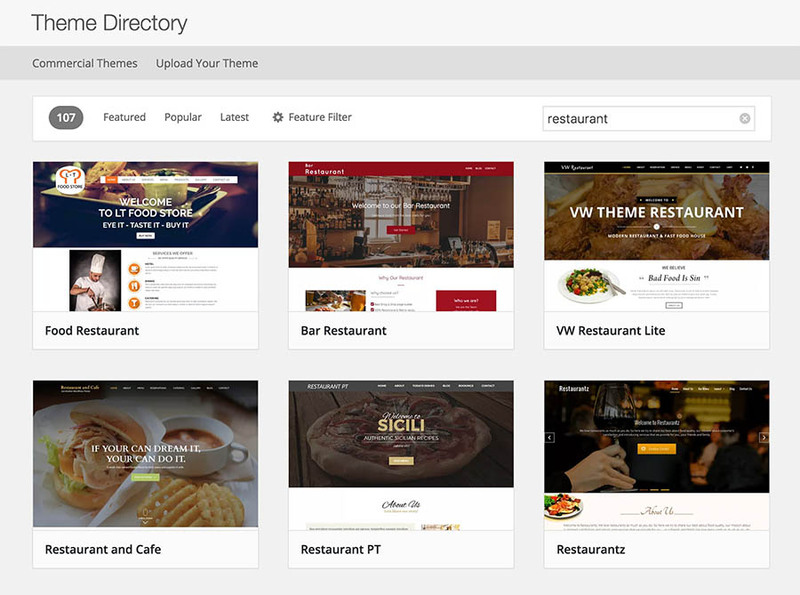 For instance, if you are building a WordPress site for a restaurant, it would be a good idea to go to the WordPress.org Theme Directory, and search “restaurant” to get a feel for what kinds of design templates are available. With thousands of available options, you are bound to find a theme that aligns with the overall purpose of your website. Confused about the difference between WordPress.org and WordPress.com? We’ve got you covered. While perusing the directory, you’ll likely come across flashy WordPress themes with a lot of moving components. Though aesthetically shiny, these designs might not be right for you. That’s because when your site has a lot “going on,” it can overwhelm and confuse an end user. Plus, keep in mind that a busy website usually won’t transfer smoothly to mobile formats — Google’s AMP technology specifically restricts certain types of multimedia (more about mobile later). Besides the visual elements, a theme can affect the performance of your website. Choosing a theme with a lot of extra features (like unoptimized image galleries or useless widgets) can slow down your site’s load times and cost you traffic. Almost half of consumers expect a web page to load in two seconds or less, and 40 percent of consumers abandon a page if it takes more than three seconds to load. This means that implementing a WordPress theme that loads quickly (i.e. has good performance) is an absolute must. Of course, you want your site to look good and have all of the features your visitors need but don’t sacrifice usability and performance for front-facing pizazz. I know, I know. 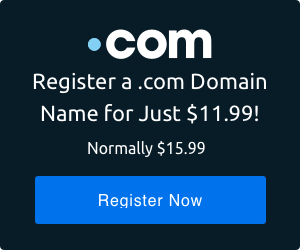 Mom always told you nothing in life is free, but WordPress.org really does offer a plethora of great themes in the Theme Directory — for FREE. See, Mom. See! WordPress does an excellent job of vetting these themes, which are submitted by third-party developers, to make sure that the code is up to snuff. To get started, do a search to find free themes that match your site’s criteria and then check out their demos to get a sense of how the theme would look with your content. For first-timers, I recommend starting with a free theme so you can play around with it for a while, and then, if you don’t end up loving it, you can change it out for another theme without being out any cash. Of course, you can always go the paid-theme route too. One of the advantages of paid themes is that they often include extensive documentation and support options. This can be important if you run into an issue that you can’t resolve on your own. WordPress.org also offers a number of commercial themes you can choose from. Let’s say you’ve done your research, and you’ve found a theme that is 90 percent perfect. For instance, you like the layout of the pages, how the menus function, and the overall design of a theme, but the fonts aren’t quite what you had in mind. Fear not, it still might be a good choice for your website. One of the great things about WordPress themes is that they are highly customizable, especially when you use plugins. To learn more, check out WordPress’ own extensive resource on customizing your own theme. One of the most important aspects of choosing a WordPress theme for your site to consider its mobile interface. Today, more people browse the internet on their smartphones than on a desktop computer, averaging 87 hours a month in the US. This means you need a responsive WordPress theme that will look great on all mobile devices, whether it be a phone, tablet, or a large monitor. Still not convinced? Google dings sites that aren’t mobile-friendly. Performance can also be an issue for sites that haven’t been optimized for mobile. Nearly 73 percent of mobile users say they have encountered a website that took too long to load on their devices. Choosing a responsive theme that has already been formatted and optimized for a smartphone or tablet can be the difference between gaining new site users and turning potential followers away. Search Engine Optimization (SEO) is key to your website performing well in search results. The quality and consistency of your content, as well as the optimization of your metadata, affect your page ranking. Why does rank matter? Well, the higher your website falls on the search engine results page, the more people will visit your website. And you guessed it: your WordPress theme matters when it comes to SEO. Themes that perform quickly, are responsive (see above), and are built with clean code are great for SEO. Regardless of what your website’s focus or main objective is, you should never settle for a theme that isn’t optimized. Look for a theme that explicitly says it is designed with SEO in mind. Need an SEO SOS? Here are 13 ways to boost SEO on your WordPress website! All of the themes in WordPress.org’s Theme Directory are ranked from one to five stars and feature customer reviews. This can be helpful when choosing the right theme for your website. Look for themes that speak to your site’s purpose and aesthetic ideal, then read the reviews to see what people are saying. Choosing the right WordPress theme for your website can seem like an overwhelming and time-consuming task, but it really isn’t. The most important decision you have to make is how you want your site to look and what you want it to do for you, personally and professionally. Creating a focused site with a streamlined look and interface can work absolute wonders for you. WordPress.org has tons and tons of themes for you to choose from, so don’t feel like you have to settle. Know your website’s objective and consider how you want users to navigate your site before you look for themes. Choose a theme that is simple and make sure that it performs optimally. Quick loads and an easy-to-navigate front end are the keys to a successful website. Play around with a free theme from Theme Directory that’s designed for your vertical/industry. You can always customize your free theme or upgrade to a paid option later. Make sure your theme is fully responsive and optimized for mobile platforms. Only use themes that were built with SEO optimization in mind. Once you find a theme you like, read a few reviews to make sure others have had a good experience. It’s as simple as that. Take time to figure out what you want and then pick a theme that meets your needs. Once you add the new theme, your WordPress site will be functioning beautifully in no time. Your WordPress site deserves great hosting. DreamPress is specifically designed for optimal performance on the world’s most popular CMS.